McCauley & Co.Eat Smart; Awaken Your Inner Ninja - McCauley & Co.
Is what you eat impacting your performance at work? Do you hit a wall around 2pm that no combination of candy bars and caffeine can break through? Are you feeling guilty about indulging your cravings over the Holidays and have a resolution to get healthy? 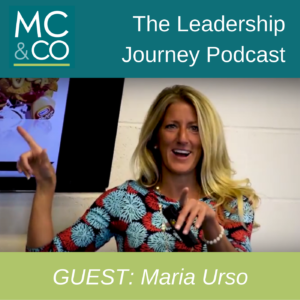 In this podcast, our guest Dr. Maria Urso lays out simple nutritional guidelines to get you through parties, holidays and blood sugar crashes to give you a competitive advantage on the job. Besides working with corporate executives, Dr. Urso also works with first responders, developing nutrition and exercise plans to get them in “ready for the call” top shape. Her simple 80 : 20 rule, combined with healthy snacking to avoid low blood sugar is the key to her client’s success. High-protein, healthy bars like KIND Bars or RxBars (my favorite is Chocolate Sea Salt) are a great option. As a frequent traveler, she keeps the Whole Foods Market mobile app on her phone so that she can find healthy food on the road, plus, she shares some secrets on how to stock your freezer like a pro. Maria challenges her clients to stop thinking about food as “bad” or “good”, and not fall prey to the ‘all or nothing mentality’ when it comes to indulging during parties, cravings or holidays. She encourages clients to eat their favorite foods and really enjoy what they eat, rather than feeling guilty. Her secret? Exercise. Get out and take a walk, or hit the gym before a big dinner. Another trick is to eat something healthy like a powerbar before you go to to a party, you will be much less inclined to overindulge if you are not starving when you arrive! “Nutrition and fitness are a lifestyle, not just something you commit to for an event, outfit, or a vacation,” says Maria of her philosophy. Dr. Maria Urso is a scientist with a PhD. in human physiology from the University of Massachusetts, Amherst. Her education and personal experience in competitive running enable her to develop cutting-edge nutrition and exercise plans that help her clients to eat and train for life. She is a former active duty soldier in the United States Army. To learn more about Maria Urso, visit www.o2x.com.